Don't let garage doors puzzle you! If you have questions, be certain that we have the answers. Follow this page. Satisfy your curiosity about automatic garage doors by reading the answers to some of the most commonly asked questions. Get plenty of important information and practical advice from a single page. While closing the garage door, why should I hold the wall button down? Our professionals in Happy Valley recommend checking for any obstruction in the door path. Then the lights at the bottom of the track should glow steady without blinking. If this is the case, adjust the safety sensor and then try using the opener. What should I use to clean garage door tracks? Use a general household cleaner to clean the tracks and first clean the rollers before starting on the tracks. The areas that have a lot of dirt built up should be cleaned first. Never use WD40 to clean tracks as they attract more dust and dirt. 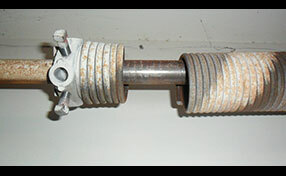 What are the signs of worn rollers? The telltale sign that our technicians always point to is the grinding sound that comes when you attempt to open and close the garage door. You will also find that the movement is not smooth and it feels as if you are pushing on something. In extreme cases the wheels will have fallen. 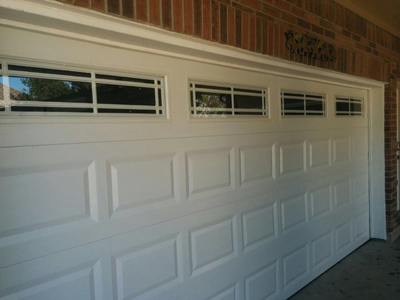 How do I choose a safe garage door? The garage door is considered as the largest moving object in a home. Thus, safety should be a concern in choosing a garage door for your home. You can speak with our experts so they can help you find the safest and most appropriate garage door for your home.